Home > How can you measure the value of a webpage? 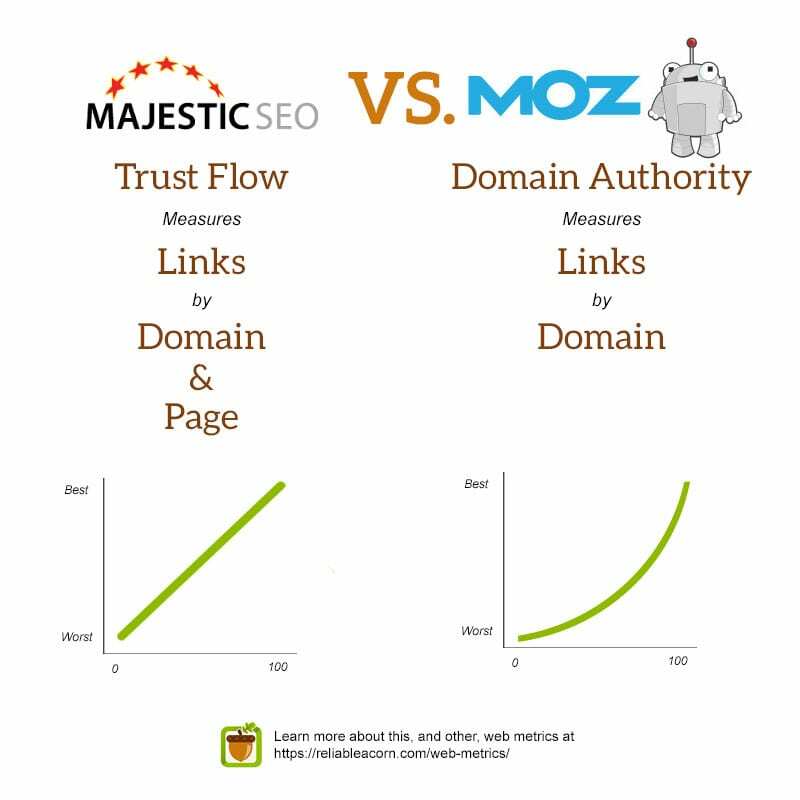 > How is Moz Domain Authority different from Majestic Trust Flow? How is Moz Domain Authority different from Majestic Trust Flow? Moz Domain Authority is Moz’s attempt to score how well a page of a website will rank on search engine results. It combines MozTrust, MozRank and other factors to provide a number between 0 and 100, on an exponential scale. Majestic Trust Flow is a score based on how many links a domain gets from a set of trusted seed sites. You could think of this as the distance from trusted sites. From this data it calculates a value, on a linear scale, between 0 and 100. A page with a high Trust Flow is very close to the most trusted websites on the internet. This value can be calculated page wise as well as by domain, where Domain Authority can be calculated by website.